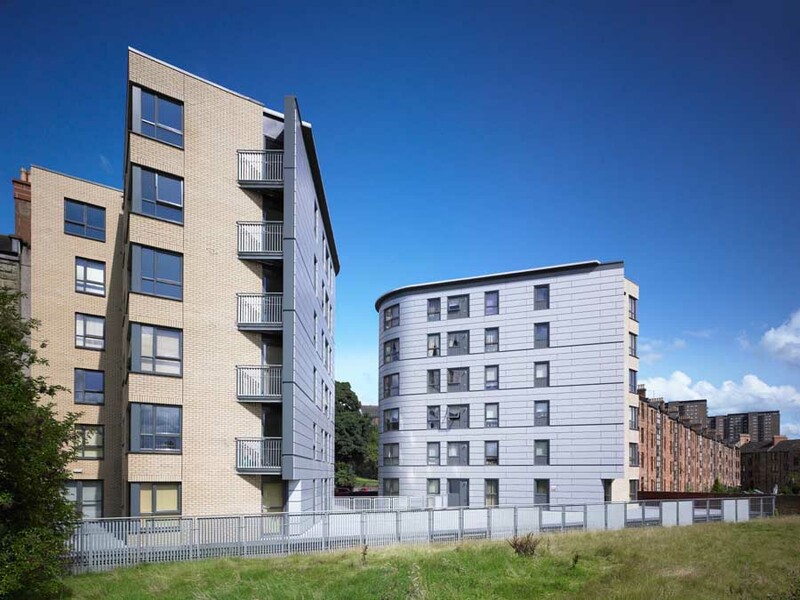 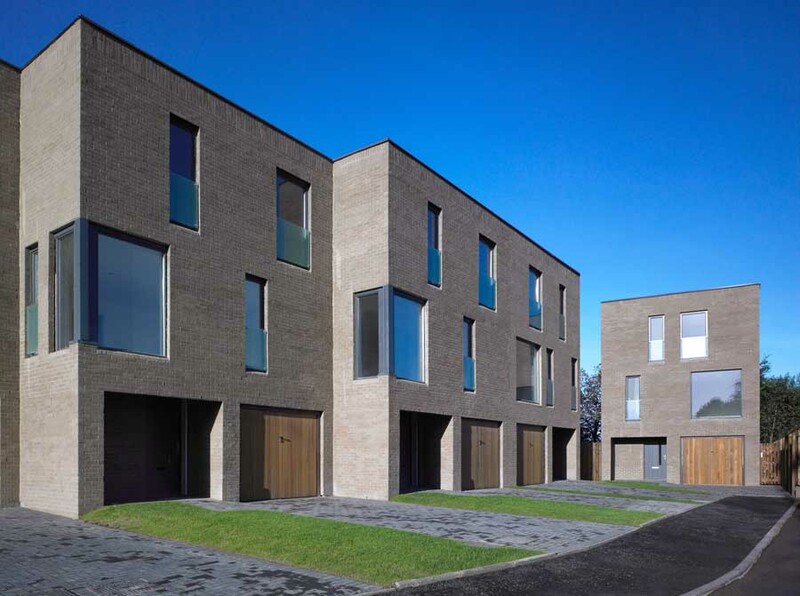 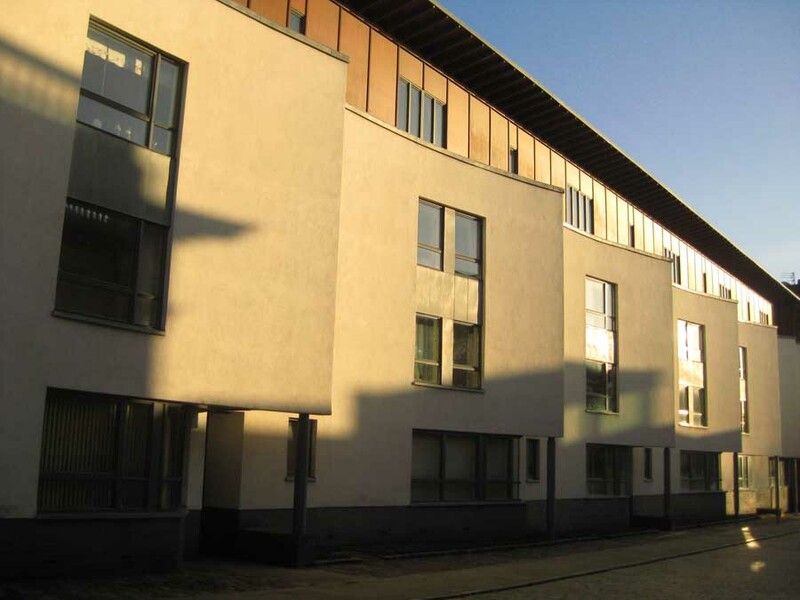 Austin-Smith:Lord continues to enhance its reputation as one of Scotland’s most successful designer of considered, bespoke housing association developments with the completion of the Pollock Street scheme in Mossend, North Lanarkshire for Lanarkshire Housing Association. 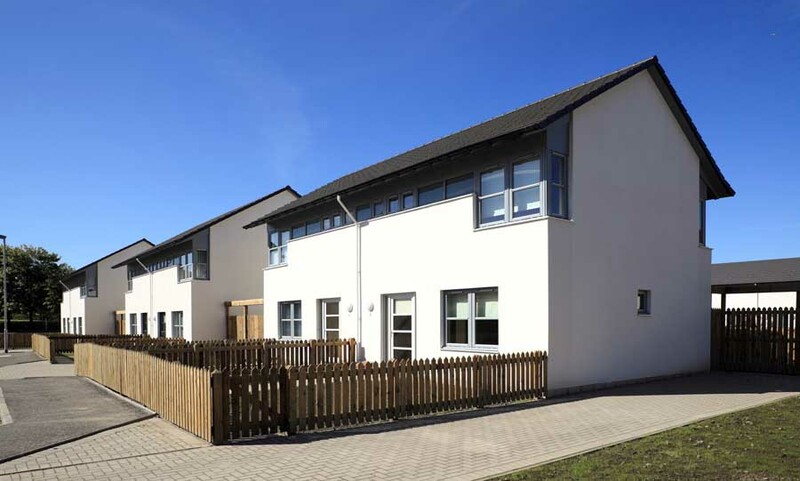 The new development of 26 affordable houses and flats reflects the practice’s established philosophy of creating unique and attractive dwellings that are both simple in design and construction and appropriate in scale, massing and response to site location. 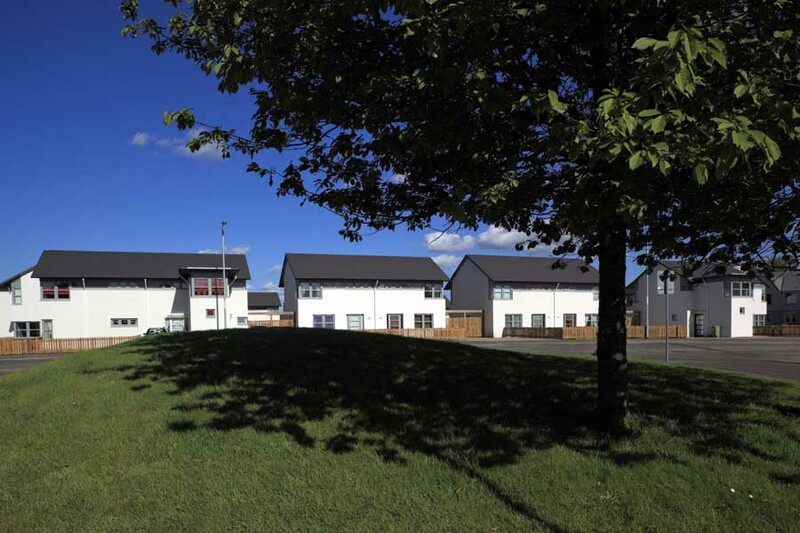 The houses and flats are wrapped around the site and enclose a green open space for residents, creating a welcoming sense of place. 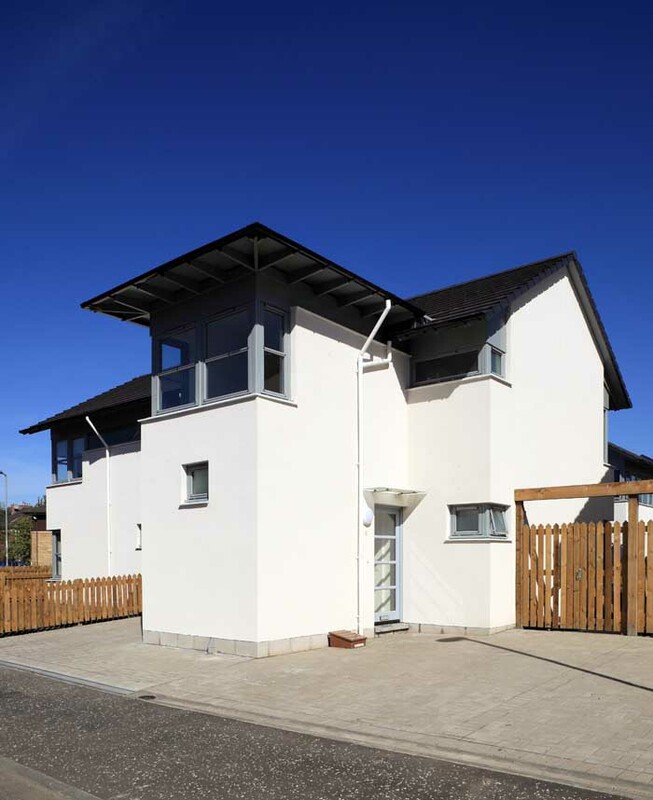 The architects eschewed a straightforward terrace-type design, opting instead to provide semi-detached houses which offer greater privacy and easy access to the communal garden space. 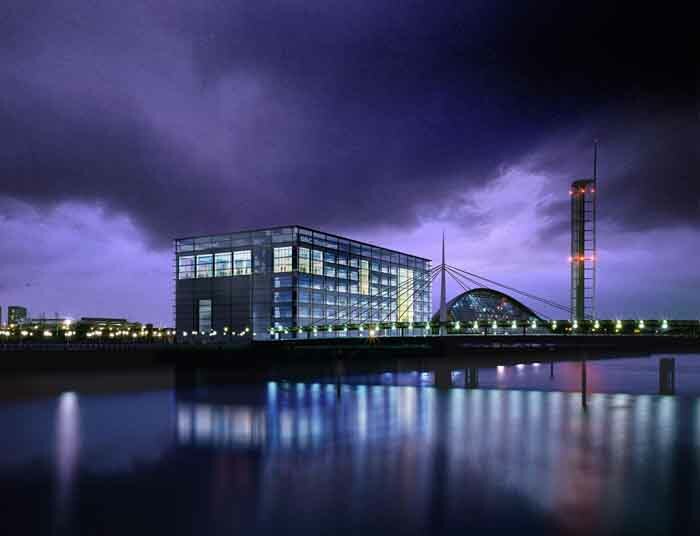 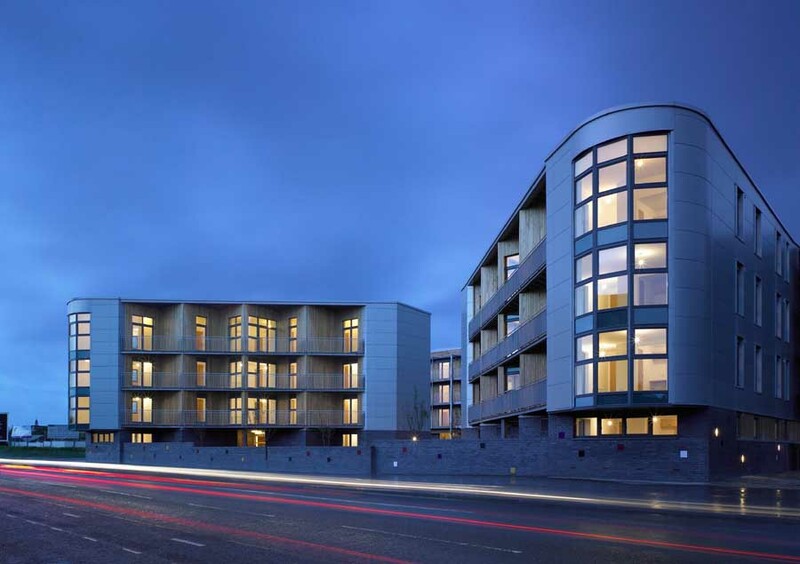 The design meets current sustainability and energy and heating saving requirements through use of sustainable timber, locally produced and recycled materials and effective and efficient insulation and boilers.